This book captures the autobiographical reflections of twenty-eight Christian men and women who, in the wake of the Second Vatican Council, committed their lives to the study of Islam and to practical Christian-Muslim relations in new and irenic ways. 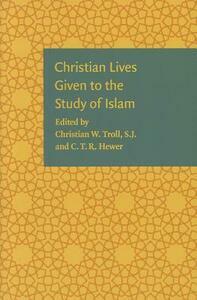 Their contributions come from across the spectrum of the Western church and record what drew them into the study of Islam. Their accounts take us to twenty-five countries and into all the branches of Islamic studies: Qur'an, Hadith, Shari'a, Sufism, philology, theology, and philosophy. They give fascinating insights into personal encounters with Islam and Muslims, speak of the ways in which their Christian traditions of spiritual training formed and nourished them, and deal with some of the misunderstandings and opposition they have faced along the way.